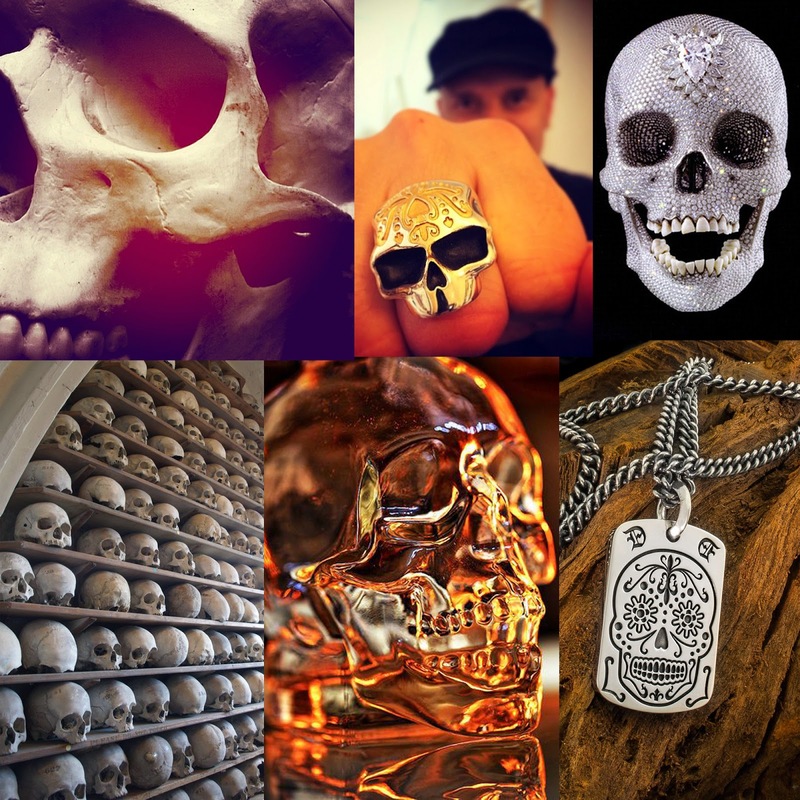 For centuries skulls have appeared in art, in order to convey a moral message or meaning. The skull implies numerous meanings and symbolism making it a strong fashion statement with universal appeal. "The skull can also symbolise toughness, bravery and defiance." Firstly and traditionally the skull represents death and mortality however in ancient societies it was believed that it actually symbolised consciousness and life. The skull has also been used to represent those who had once been living, with it being associated with the Mexican holiday, the Day of the Dead in which those who are deceased are celebrated. The skull can also symbolise toughness, bravery and defiance making it a strong and iconic image. We at Dogstone London love all the different symbolism behind the skull and that is why it’s a firm favourite within our collection. Recently we created a stunning skull ring in collaboration with Ace, the very talented lead guitarist from the world famous Skunk Ananasie. The unique and stunning design featured his signature "Ace of Spades" in 24k Gold and contained an astounding 58 grams of solid sterling silver proving this to be a statement piece of jewellery built to last for eternity. The men’s Spring catwalks saw the return of the bandana, Louis Vuitton sent his models down the runway all sporting a bandana as a neck accessory. However, bandanas have been round for centuries with the first ones being worn in medieval times when pirates roamed the sea. Later they were worn by the working class as an alternative to a cravet. Bandanas then became popular with the Native Americans who began trading the accessories with the American Indians. Black bandanas began to be associated with criminals when Western Americans would wear them to cover their faces to protect their identities. It wasn’t until when Hollywood films were produced when bandannas became fashionable and were not only worn for practical purposes. More recently, in the 1970s bandanas have be associated with American gangs, with different colours being affiliated with different gangs. The Crips were the first gang to all wear blue bandannas which they soon became associated with, their biggest rival the Bloods in retaliation began wearing red bandanas. In the 1980s bandanas became associated with rock bands and artists with fans wearing different colours to represent their favourite musicians. A classic example of this is Slash from Guns and Roses/Velvet Revolver who’s signature appearance will always include a bandana hanging from his rear right hand side pocket. Bandanas have since appeared in art work, this was popularised by the artist Usugrow in the 1990s. 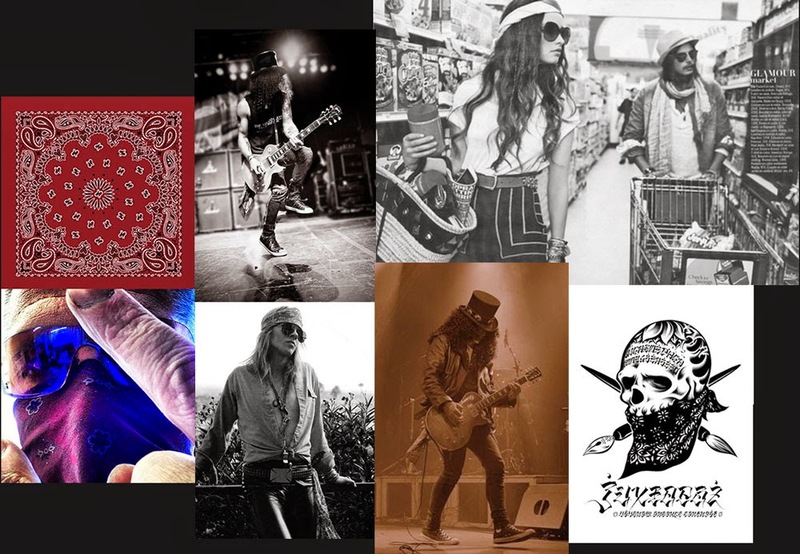 Usugrow’s black and white illustrations are instantly recognisable worldwide and have been used on album covers, by fashion and skate brands as well as featuring in fine art galleries, thus popularising the bandana. Timbuk2 make messenger bags. People like Timbuk2's messenger bags, so much so that Timbuk2 started a brilliant site where marketing meets customers, with hugely intriguing results. It poses the simply question, 'what's in your bag? ', with fascinating results. An homage to those shots where the contents of a bag is neatly laid out for all to see, there's some delightful looks into the everyday that make it hard to look away from – it's so addictive you just want to keep scrolling for more. The company itself was started by a San Francisco bike messenger in 1989, and this site reflects the same sort of homegrown ethos – it's just images of normal people with normal stuff. Well, I say normal, when you find pictures of people's 'must haves' and they're some kind of weapon, that's a weird sight to UK eyes. I personally really like the ones that are shot on a dirty carpet or hectic bedspread, they make it feel so authentic, peoples' lives laid out for all to see. You should go and check out the site here at whatsinyourbag.com and you'll probably be inspired to do your own. There's a lot of other sites around that do the same sort of thing too, unaffiliated with a bag company, and I really like this Tumblr, which covers any kind of bag you can imagine. Maybe we'll do a few Dogstone bag exposés, then if you guys like the idea, you can send us yours too. Let us know what you think. You can see the full Dr. Marten brogue collection here. 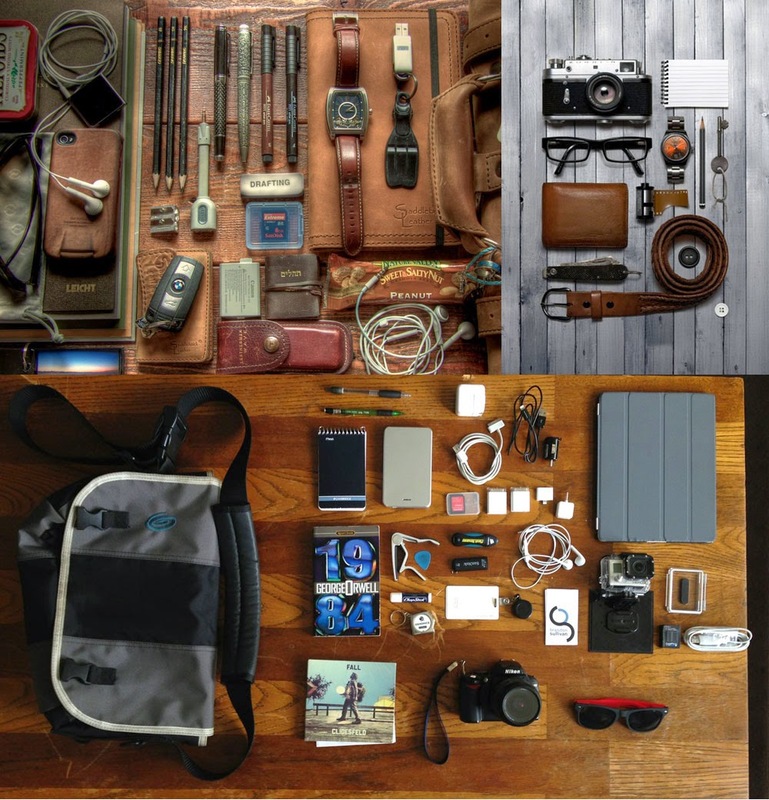 Labels: Messenger Bags , San Francisco Bike Messenger , Timbuk2 , Tumblr , Whats in your bag? An enduring British brand is always something that catches our eye at Dogstone, and you can't get much more British than the wonderful Dr. Martens. They've been so much a part of our culture for the last nearly-54 years that it seems remiss to us for you not to have a pair in your wardrobe. The legend of the air-cushioned soled Dr. Martens was born on April 1st, 1960, to an unsuspecting world that hadn't really invented any sort of youth culture, but that changed dramatically over the following decades. Where there was something cool going on, you could usually find a pair of Dr. Martens being involved. From ska-loving working class skinheads to Kurt Cobain's grunge and beyond, they're a truly iconic image that still works awesomely well today. And the reason that we're writing about them now? Well the new brogues from Dr. Martens are super cool, and work brilliantly well with a turned up selvedge denim. 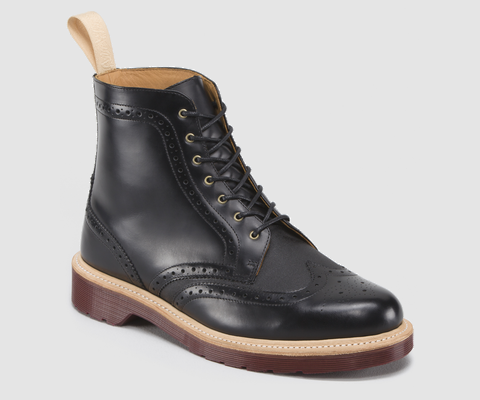 At Dogstone we're especially loving the Bentley boot, in black on black. They're part of the Windsor collection, with a leather lining and leather welts, they are also clearly a premium item for your feet. If you're looking about for a new spring in your step for spring, these are more than worth a while of your interest. At Dogstone, we love a good homegrown brand that exudes the same kind of characteristics as we do, so to recently discover not only one but two that are doing great things is nourishment for our souls. First up, Hiut Denim. These guys are resurrecting the fallen jeans industry that used to operate in Cardigan Bay before it was their doorstep, and as such have a huge resource of highly skilled jeans makers back right where they should be: making jeans. The story itself is a beautiful tale, but the jeans they make are even more so. Cut to one of three of their own patterns, and made from either raw or selvedge denim, Hiut jeans are honestly the best made that we've ever worn. And if you're into the whole raw denim wearing-in process, these jeans work in amazingly, with the first wash being a reward in itself. If you're a denim nerd, or even someone who just loves a bloody good pair of jeans, then you'd be doing yourself a disservice not to check these out. Then secondly, from our UK must-have brand list, is P&Co Clothing. They were first brought to our attention via the tattooed and beared über model, Ricki Hall, who then followed his association with a hook-up line all of his own, called the Slick Rick's Collection. These guys have a brand and they know how to use it, from awesomely printed t-shirts to a hair-on-hide Lucifer rucksack, they're committed to putting out only high quality goods – much like Dogstone! If you're looking for something a little bit different from the ordinary, with an ethos worth shouting about, then either of these two will be worth your while to stop by. Hit up the links above for their sites, or stop by their Twitters: @hiutdenim and @pandcoclothing.